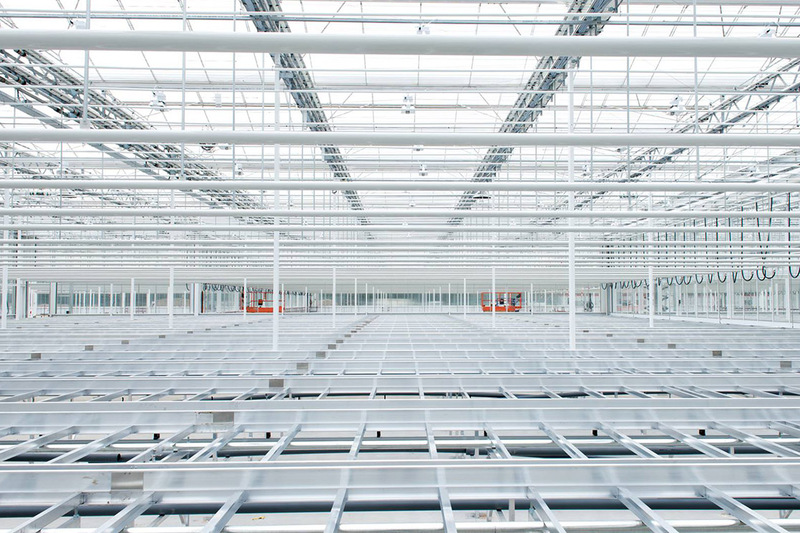 In collaboration with Schoneveld Breeding, Patron realized a highly advanced production greenhouse in Wilp, the Netherlands. 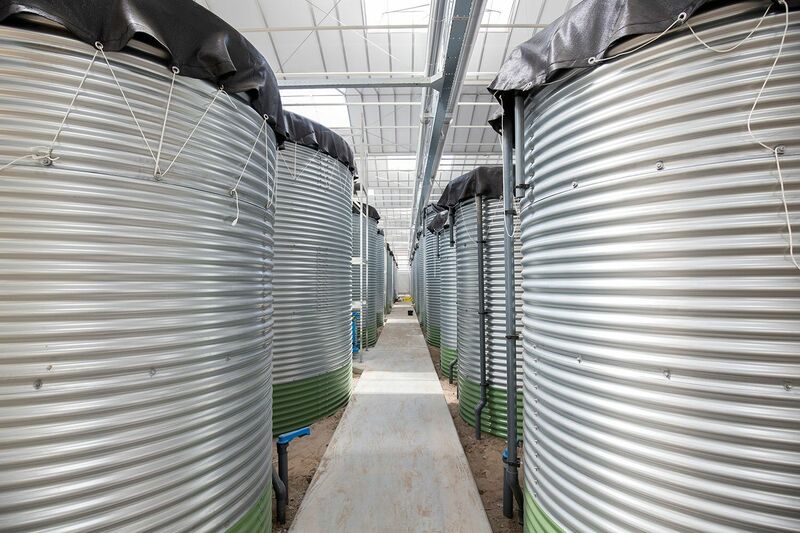 Schoneveld Breeding has created innovative ways for the breeding of flowering pot plants and has made a strong commitment to sustainability regarding this new building. 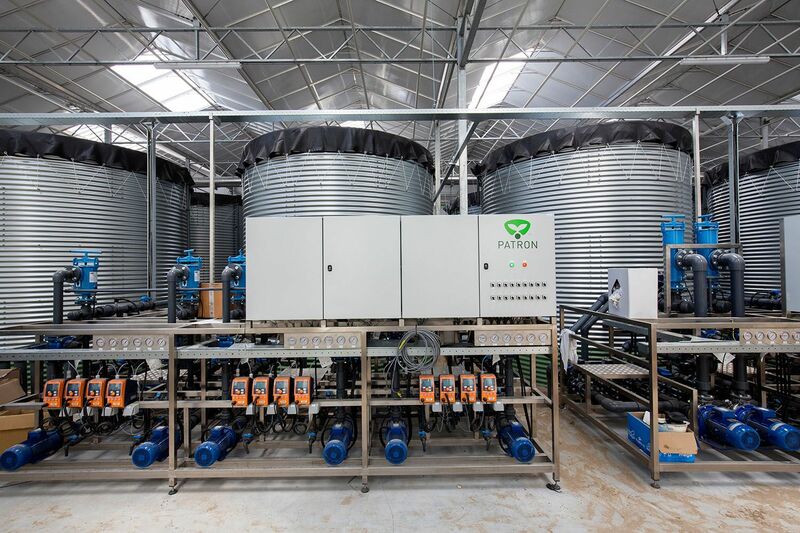 Patron designed a closed water system with 100% reuse of available raw materials. By means of an advanced microdosing unit, no less than 13 recipes can be prepared to fill the day storage tanks. 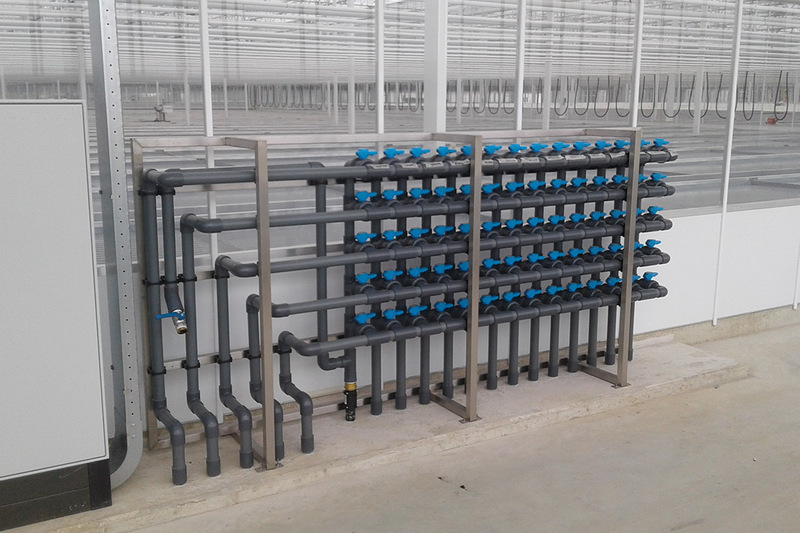 The correct recipe can be selected manually in the corridor by operating a valve matrix before irrigation water is transported to the plants. The plants are places on both fixed and movable tables in which an electric valve controls the configuration and outcome of the table. 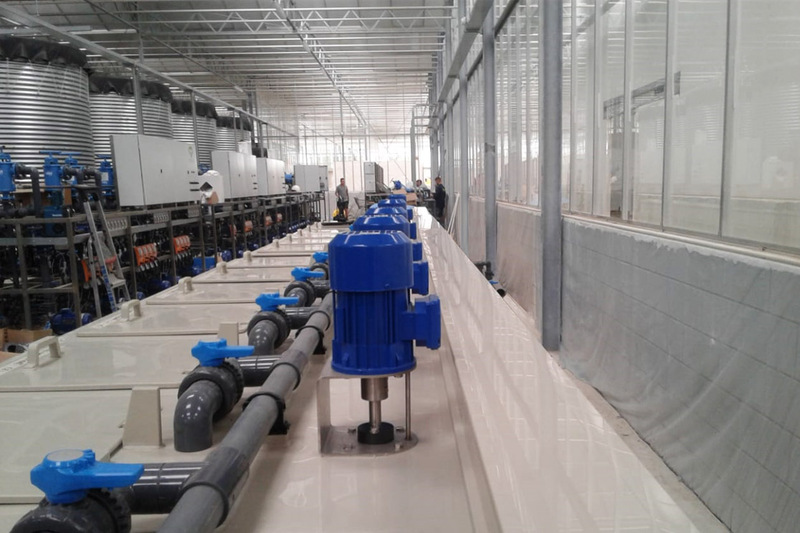 A float system ensures the exact ending of water supply until a water level of 8 mm is reached. There are no less than 5 supply pipes and 9 drain pipes with return pit, per table. 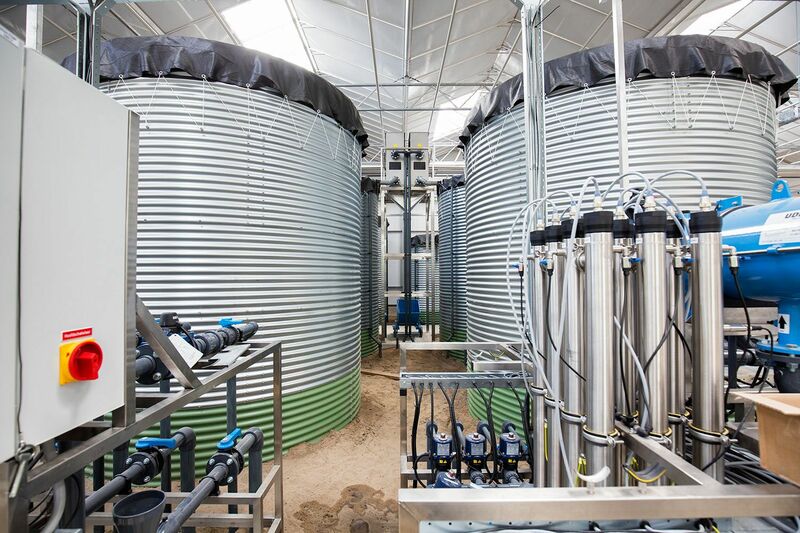 After the drain water runs through the sieve bend, it is disinfected and collected in separated silos. From this point the cycle restarts. The piping system has been installed in a circular pipeline so water can be flushed for re-usage. 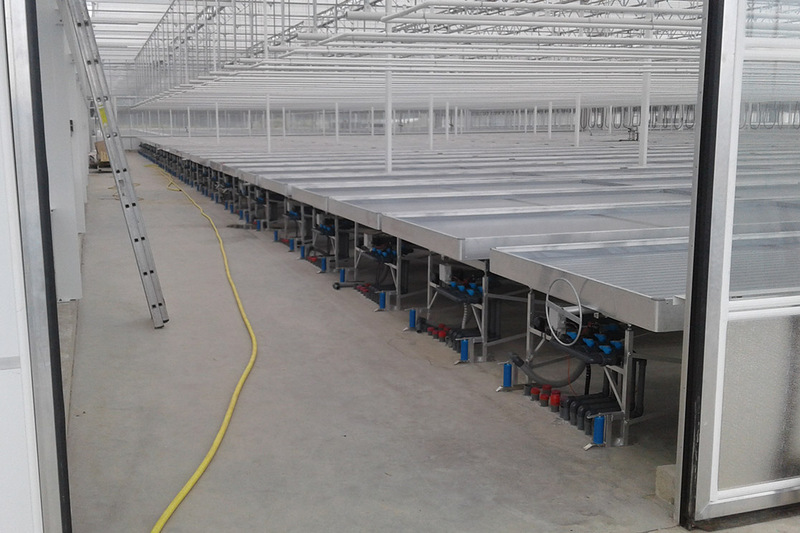 Special features are the application of Philips LED lighting, Agrolux growing light armatures, and PAR and IR sensors. 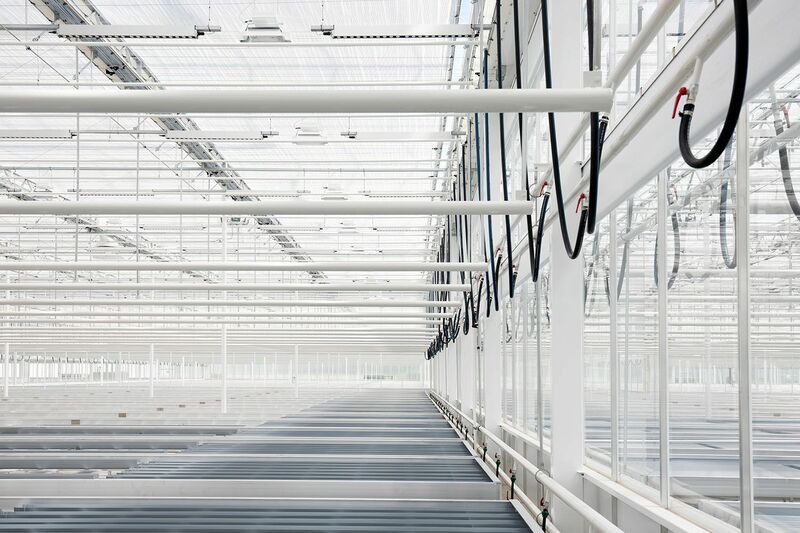 The Hinovator in combination with VentilationJet system,which is mounted on the greenhouse truss between 4 screens, provides fresh outside air replacement from greenhouse ridge to cultivation room. 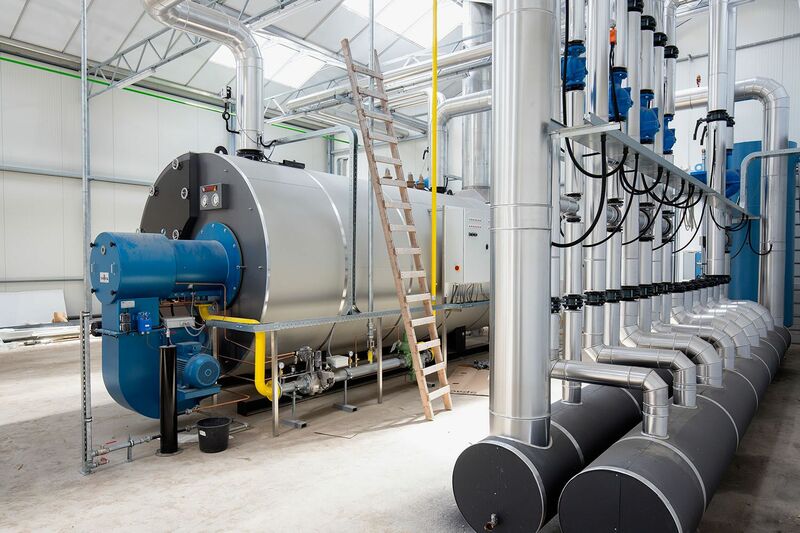 The blowing capacity desired for drying or cooling is determined by the Hoogendoorn ISII. With the vertical fans (Hinovator) the air is distributed vertically in the room. 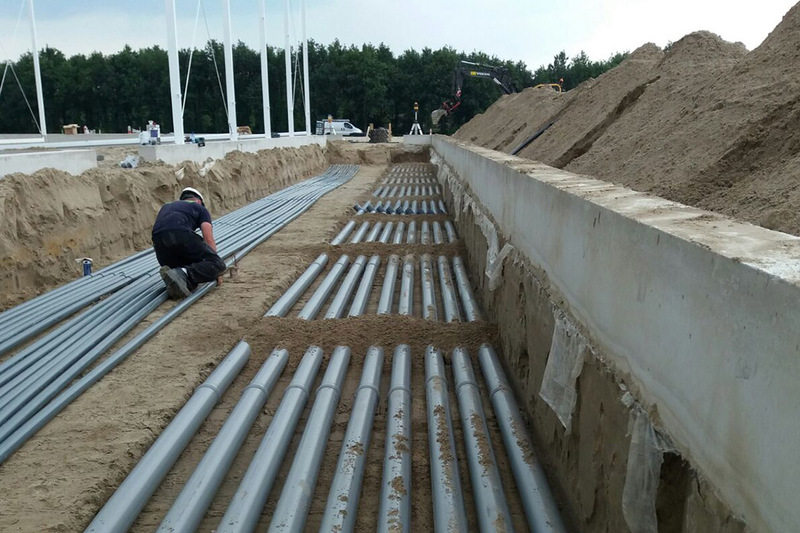 The complex infrastructure of several irrigation pipelines was a challenge for the draughtsmen, groundworkers and fitters, but led to a unique project that responds to the high requirements in terms of dosaging and uniformity.